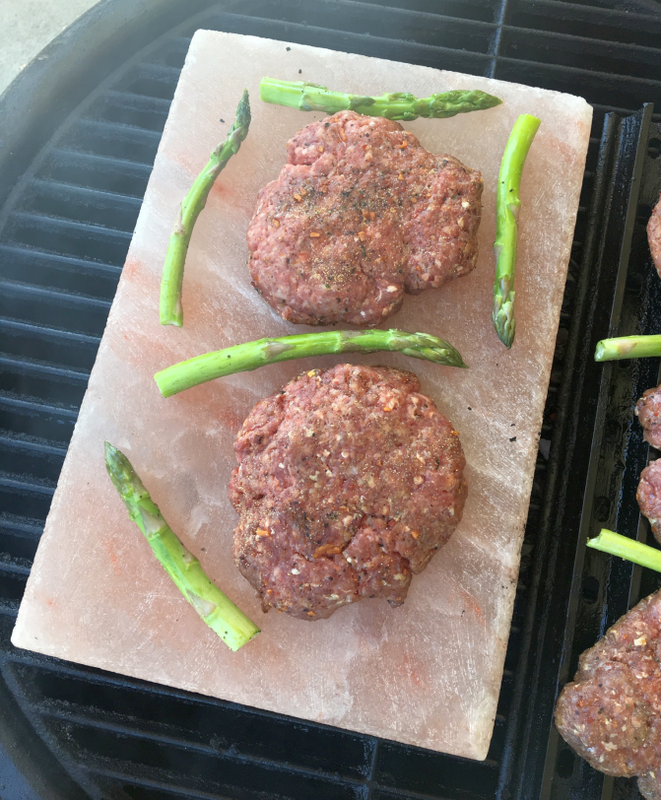 I bought my husband the Himalayan Salt Block pictured for Father’s Day (along with Salt Block Grilling: 70 Recipes for Outdoor Cooking with Himalayan Salt Blocks by Mark Bitterman). He’s a huge fan of grilling and we’re both huge fans of Himalayan salt and great food, so it seemed like a can’t miss gift – and it’s proven to be just that. 100% Pure Himalayan Salt block imparts a naturally rich and delicious flavor to food. 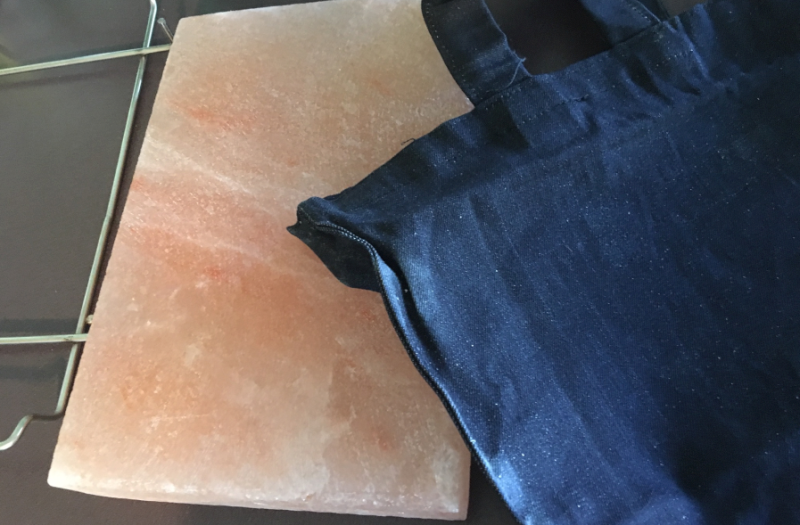 Thick Himalayan Salt Plate has beveled edges to reduce chipping and it comes with Stainless steel Salt Plate Holder, and a very handy cotton tote for safe storage. Use for Grilling, Searing and Cooking Meat, Fish and Vegetables. Use Directly on Grill or Stove Top. Unique (and highly attractive!) way to cook, serve and display food & appetizers when serving guests. The stainless steel holder extends the life of the salt rock plate while allowing for easy handling. 100% SATISFACTION GUARANTEED. VOLTAS Will replace the block or refund your money if you have any concerns. The pink Himalayan salt block has a deep history and evidence surrounding its many benefits. Millions of years ago, a sea bed crystallized and was covered with a layer of lava. As snow and earth accumulated, what we now know as the Himalayas formed. The salt from this deposit is considered the purest salt ever found because it has been untouched by any pollutants. The benefits of using this salt slab are endless. Himalayan salt crystals contain almost a 100 natural minerals, more than any salt in the world. 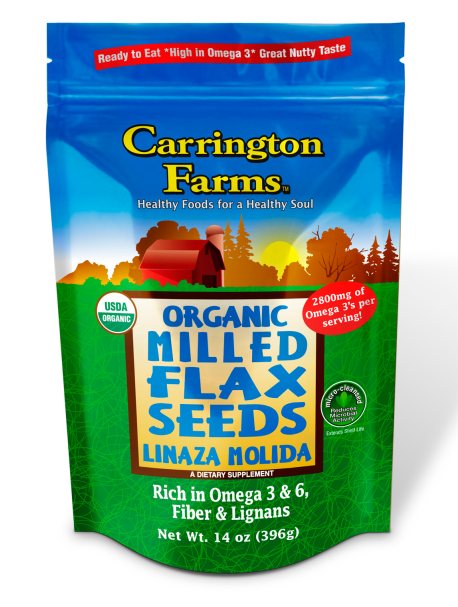 It contains less sodium and has been attributed to countless health benefits. 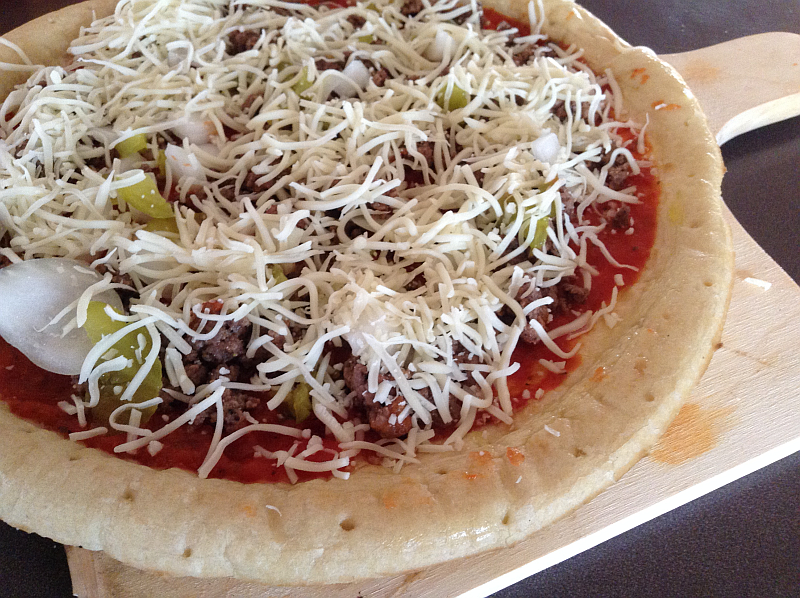 With naturally low moisture contents, the plate can be heated or chilled to extreme temperatures. The VOLTAS stainless steel salt plate holder eliminates excess pressure to any one area of your plate, while protecting fragile edges and extending the salt plate’s life. As your salt plate begins to wear down, you can use the holder as a frame to hold together the pieces of salt. Transform your backyard parties with this stylish grilling masterpiece or impress your guests by using it as a contemporary serving piece. 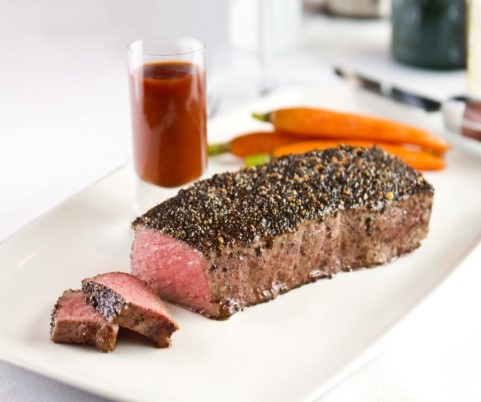 Cooking food with the salt plate on stove-top or BBQ grill enhances your culinary skills. This block takes “slow cook” to whole new level by naturally seasoning your food and conducting heat by spreading pressure evenly over the slab. On a stovetop slowly increase the heat over time as the salt plate retains and conducts heat and spreads pressure evenly. 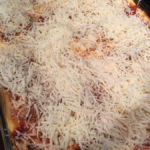 Once it has reached the desired temperature, you can add anything on it that you’d like to cook or you can even remove the slab and cook without the flame. The same can be done on a BBQ grill by keeping the lid closed during heating. Because it’s anti-microbial, the salt plate is very easy to clean. Just wipe it with a damp paper towel and then pat it dry. I did quite a bit of research and reading before deciding which Himalayan Salt Block to order for my personal grill chef. I loved the fact that this particular Himalayan Salt Block came with its own steel rack AND storage tote. The size was as big as any I’d come across and it received better reviews than others I’d looked at – always a great sign. Not surprisingly, the first thing he wanted to fix on the block were burgers (he could give Popeye’s buddy Wimpy a run for his money) and asparagus (his favorite vegetable). He cooked some burgers and asparagus on another part of the grill (for comparison’s sake) and the juiciness of the burgers were BEYOND noticeable. In fact, “JUICY,” was the first thing out of our mouths – when they weren’t full, of course – our mothers taught us manners, after all. They were delectable and juicier than any burger I think I’ve ever had. As for the asparagus, if all asparagus tasted as great as these did, it’d be more people’s favorite vegetable. Before putting them on the block, I lightly oiled them with EVOO and seasoned them with pepper and garlic powder – I trusted the block to take care of the salt factor. 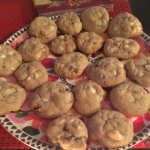 They were just fantastic – flavorful with the perfect amount of crispiness. Wilty, overcooked asparagus is depressing and these were nowhere near that. I think the cast of characters for a fajita – skirt steak sliced bell peppers, mushrooms and onions – would be out of this world too. The possibilities are endless. 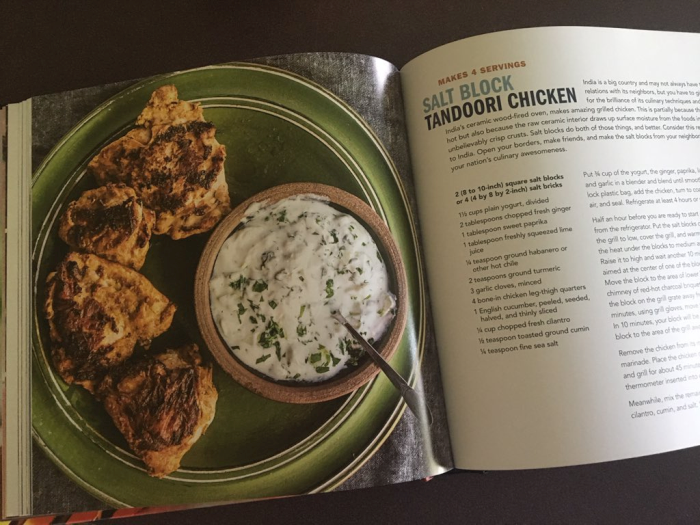 Since grilling on a Himalayan Salt Block was a whole new ballgame for my husband, I thought that a great cookbook to accompany the gift would be in excellent taste (see what I did there?). Salt Block Grilling: 70 Recipes for Outdoor Cooking with Himalayan Salt Blocks by Mark Bitterman proved to be a perfect companion. 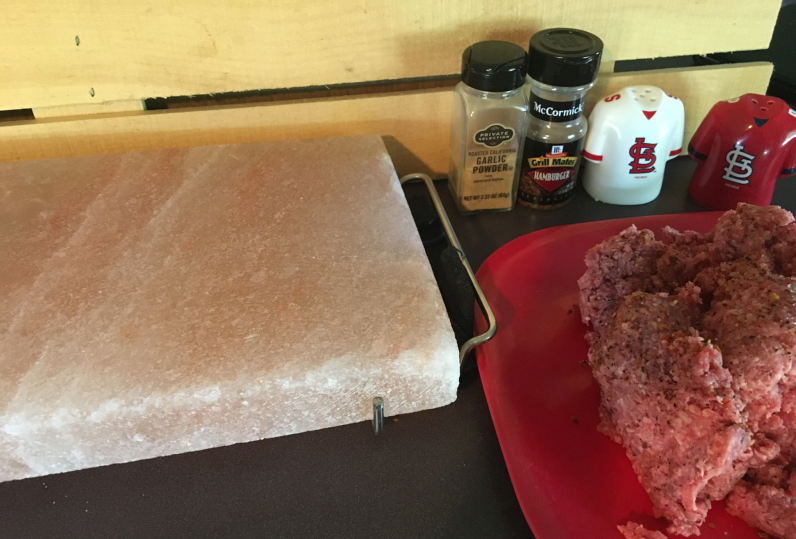 It’s full of ideas, recipes, and tips – everything a new salt block griller needs to know to have the confidence and swagger to work their salt block magic. 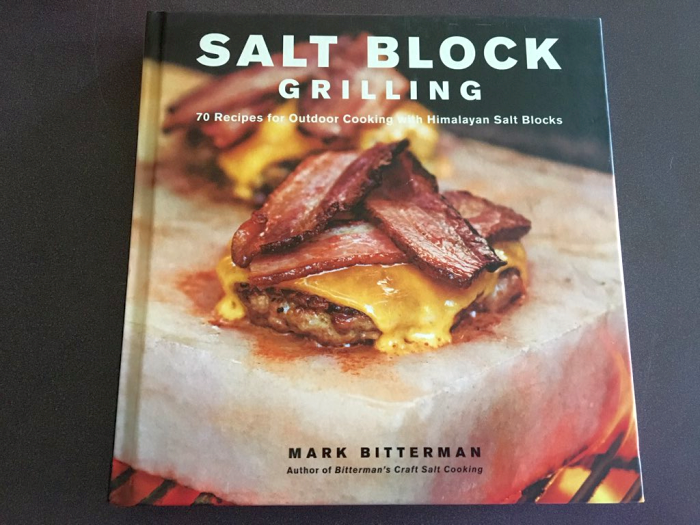 Book Description: Over 70 all new recipes for grilling traditional and nontraditional dishes on a Himalayan salt block from salt expert and best-selling author of Salt Block Cooking, Mark Bitterman. Plus a lot more delicious recipes – like all cookbooks, there are a few you’ll never make (I’m looking at you baby octopuses and you know it) but all will intrigue you and inspire you. The process and food combinations are exceptional and it’s a must have book if this is your first time grilling with a salt block. Himalayan Salt Block.Check out Salt Block Grilling: 70 Recipes for Outdoor Cooking with Himalayan Salt Blocks. 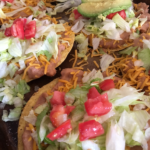 Summer Foods Americans Crave the Most…. 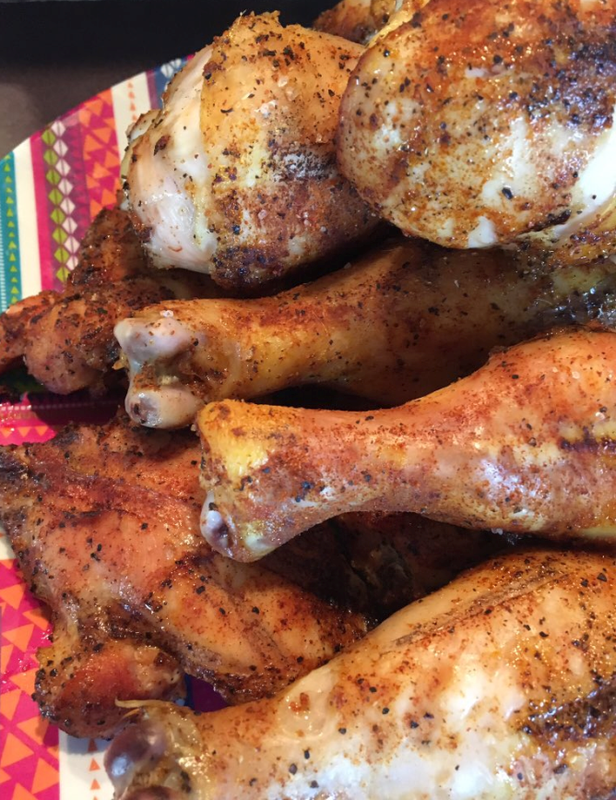 Gotta admit, looking at the picture above – of some grilled winglettes my husband made not long ago – is kind of distracting me from this post. All I can do is sit and stare with my mouth watering like a faucet. Next time, I really should do the story THEN post the picture. I’ll make a note of that. 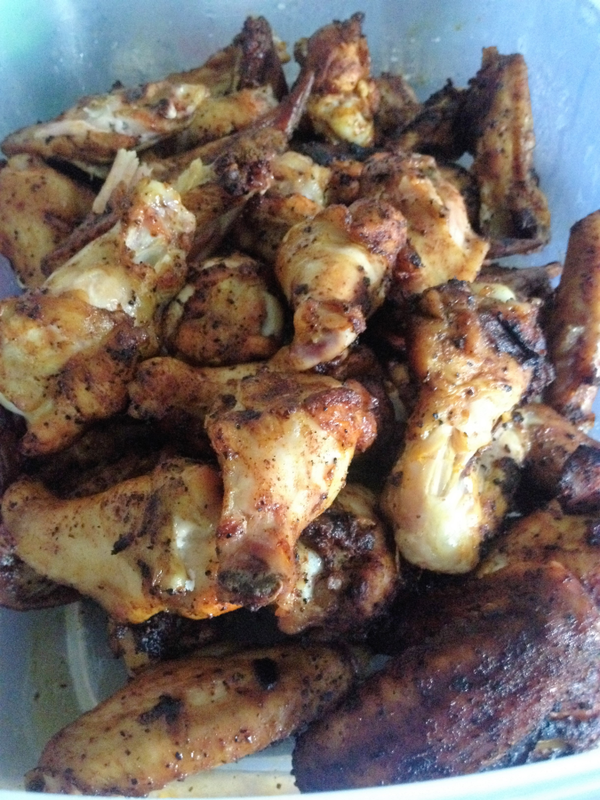 The husband is expert at all things with the grill and his chicken is legendary in our family. It’s that time of year again, so all of you other grilling legends are undoubtedly rolling up your sleeves and making your own magic. For a recent story, the Postmates delivery app partnered with NationalToday.com to ask 2,000 Americans about their summer plans and summer meal preferences. The results are below. Postmates and NationalToday.com ranked cities across the U.S. based on the total number of summer hot dog deliveries in the past 12 months using the Postmates app, the frequency of these deliveries, and the overall preference for hot dogs over other foods. No matter which toppings they prefer, Postmates is delivering free hamburgers or hot dogs to residents of 100+ cities (see the list here https://postmates.com/) who download Postmates and order throughout the first week of summer (Tuesday, June 20 through Sunday, June 25). The recipe below is an out of this world grilled corn on the cob that’ll rock your very world. 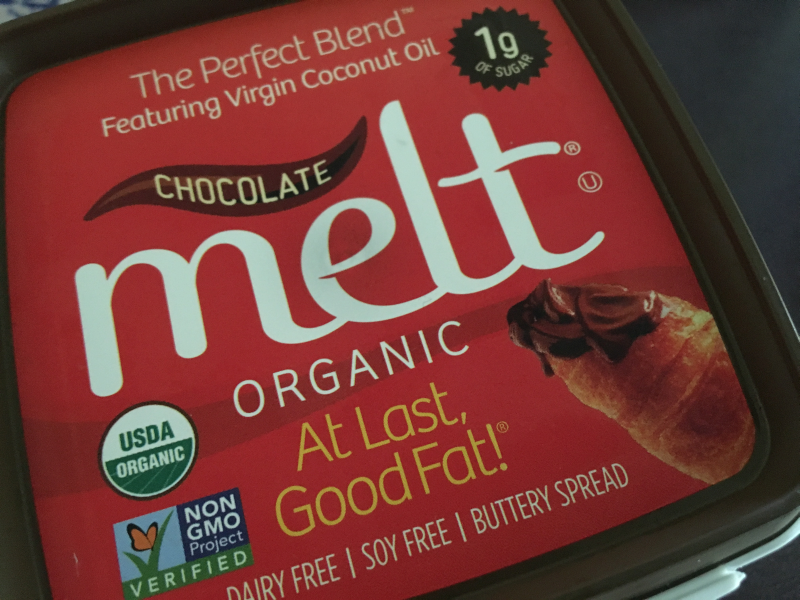 You’ll see Melt Organic Buttery Spread in the ingredients – it’s just one of the Melt spreads that are now on the market. I’ll tell you more about them immediately below the recipe. Blend Rich & Creamy MELT, honey, lime zest and juice, crushed garlic and hot sauce in a food processor; season to taste with salt and pepper if needed. Peel the outer husks away from the corn without removing them. Remove the silk from inside the husk and then fold the husks back around the corn, tying the top with butcher’s twine. Soak ears of corn in cold water for 10 minutes. Place the corn on preheated grill. Close the lid and cook the corn 15 to 20 minutes, turning every 5 minutes. Remove the corn from grill, cool slightly and peel off husks. Spread generously with MELT mixture and sprinkle with cilantro. I know I’m switching lanes at an accelerated speed here, but… come on… it’s chocolate! One of the Melt Organic Buttery Spreads is the beauty you see above and below, Chocolate Melt. Just look at that chocolate gorgeousness!! Yes, as a matter of fact, it does taste even better than it looks. 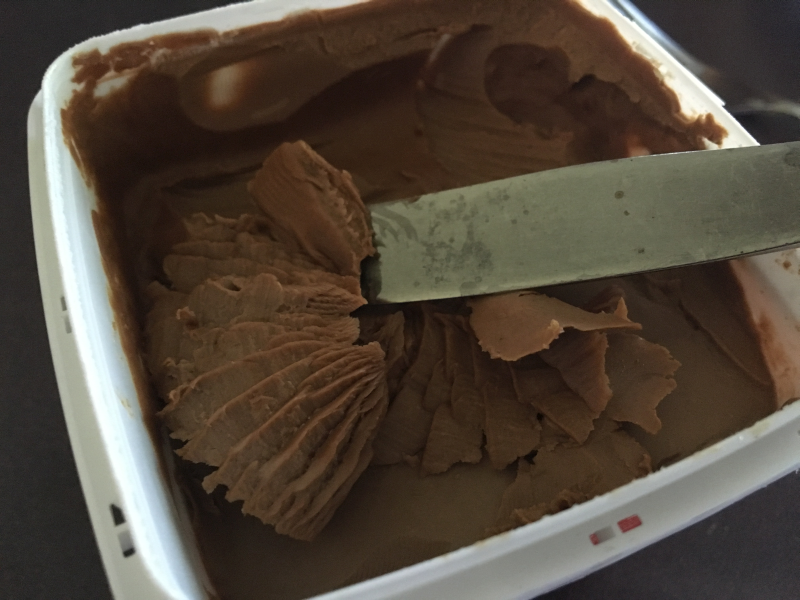 It tastes like you’d expect chocolate butter to taste – somewhat reminiscent of the beginnings of a Chocolate Buttercream Frosting. Heavenly. On the container of the Chocolate Melt is a recipe for brownies. Naturally, I made them. Unfortunately, the picture below doesn’t do them justice. 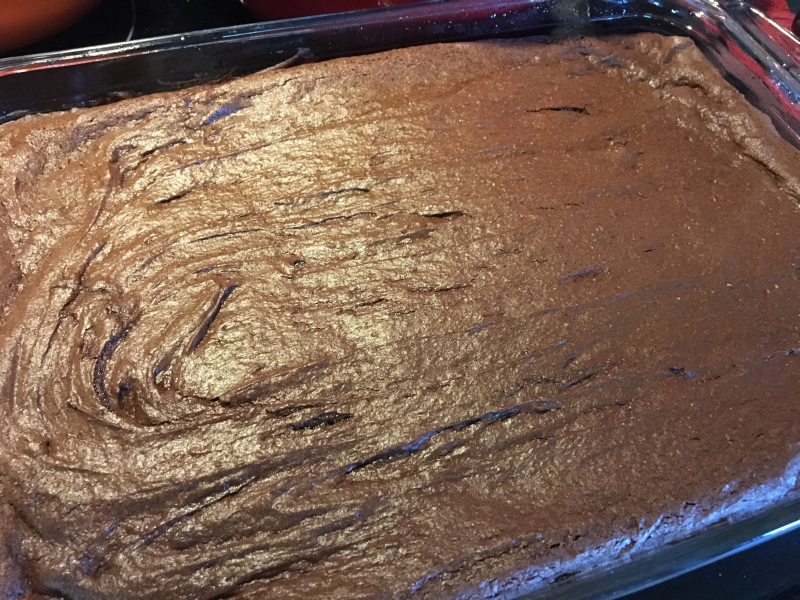 They were the most moist brownies I’ve ever made and were insanely good with ice cream. MELT® Organic is a line of luscious, all-natural butter improvements for butter lovers seeking an alternative with beneficial ingredients. Its flagship product line, MELT Organic Buttery Spreads, is made from the Perfect Blend™ of fruit- and plant-based oils: virgin coconut, flaxseed, hi-oleic sunflower, palm fruit and canola. 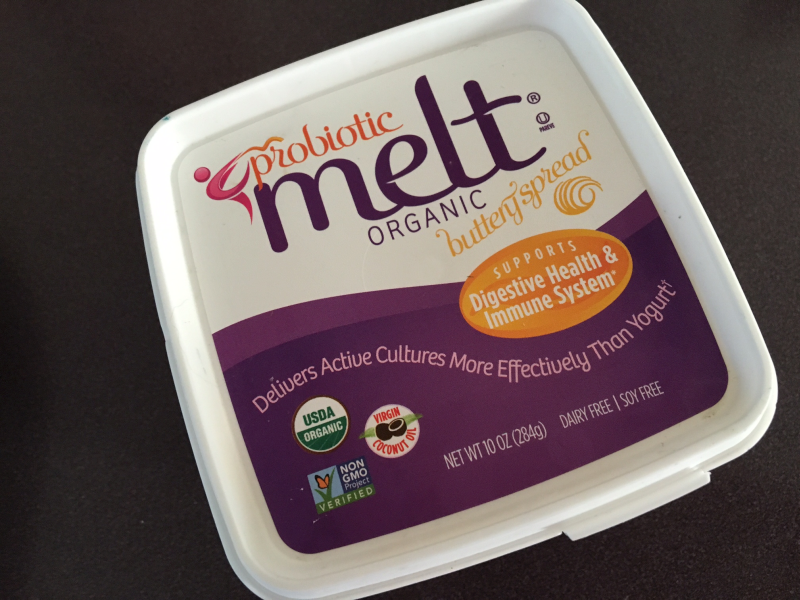 Two new products that leverage the company’s tradition of innovation were launched in January 2016 – MELT Organic Buttery Sticks, with a simpler formulation of our VCO blend optimized for baking and cooking, and Probiotic MELT Organic Buttery Spread which delivers active cultures more effectively than yogurt. All MELT products are sustainably sourced and are certified organic, kosher pareve and Non-GMO Project Verified and made with fair trade, organic virgin coconut oil and Rainforest Alliance and Roundtable for Sustainable Palm Oil Production (RSPO) certified organic palm fruit oil. 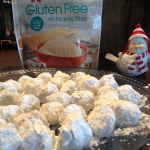 They are also trans fat-free, gluten-free, dairy-free and soy-free. Each of our naturally sweetened MELT spreads (Honey and Chocolate) contain just 1 gram of sugar per serving. 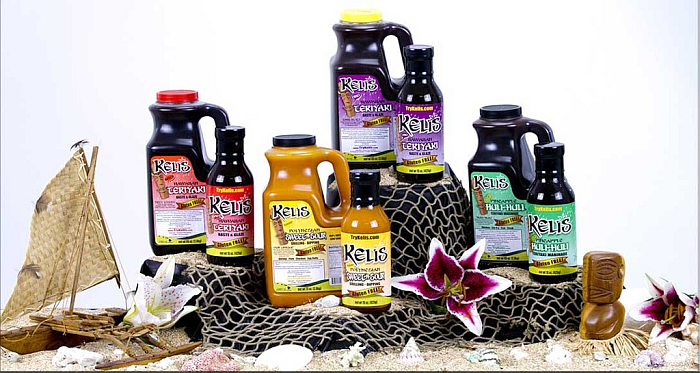 None of our products contain hydrogenated oils or artificial ingredients of any kind and they never will. 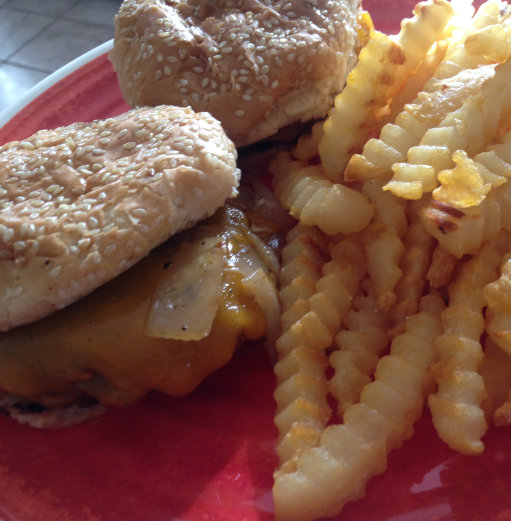 Other Melts are the traditional (pictured below) and a Honey Melt, which is fantastic, too. I’ve eaten each variety on just about anything and everything and, since having the samples sent to me by Melt (in exchange for telling you about them), I have bought EACH flavor several times. Given that another obsession of mine is sweet potatoes, this beautiful vegetable was actually the first way I used the regular Melt AND the Honey Melt – each are uncommmonly delicious with white potatoes and sweet potatoes. They’re also perfect on cornbread, toast, rolls, carrots, asparagus, corn, pancakes (so is the Chocolate Melt!) and oatmeal. Find Melt Buttery Spreads in your favorite supermarket, then try them all. I find mine in my local Meijer Supermarket. Whole Foods Markets also carry them. You’re going to be as hooked on them as I am. 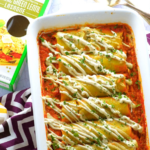 Find more Melt Recipes by visiting their official website. 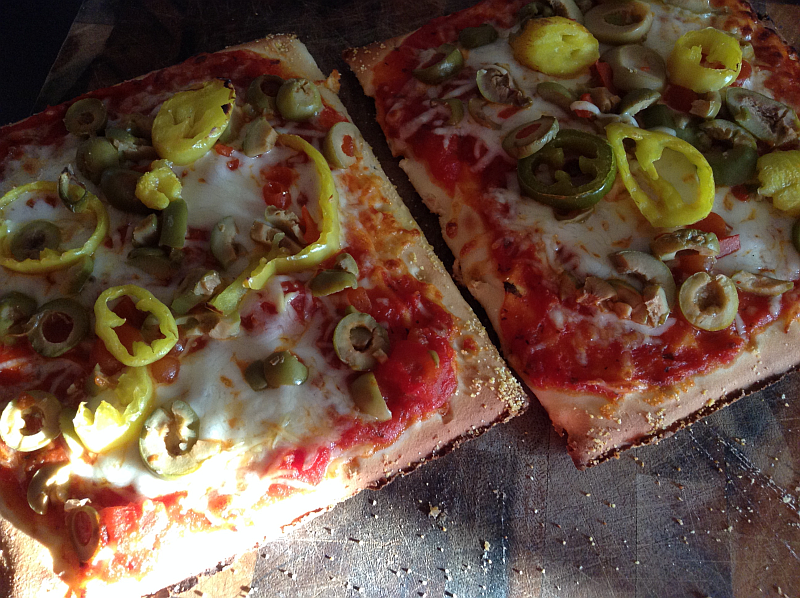 Because they are awesome people, they even have a page for gluten free Melt Recipes – something I appreciate greatly! 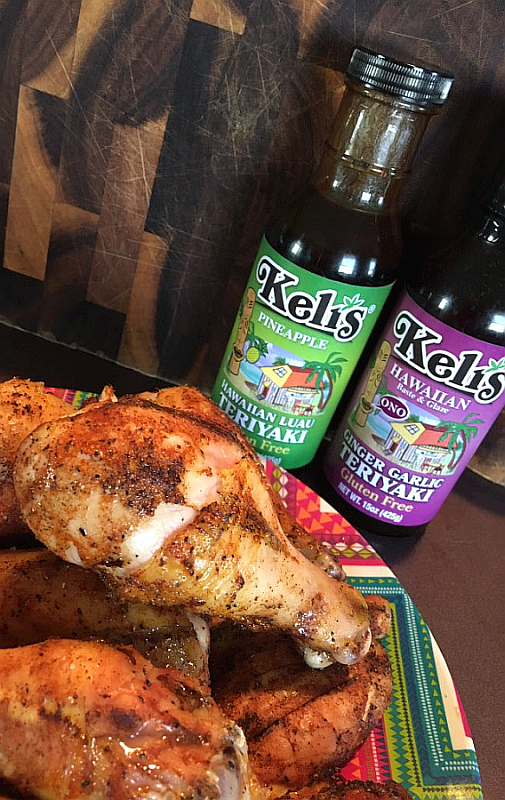 July is National Grilling Month (hence the back to back grilling recipes on the blog!). Grilled food isn’t just delicious, it’s also the ideal way to keep from heating up your kitchen. With temperatures soaring into the high 90’s here in Kentucky, I’m mighty indebted to the grill. According to a survey by Medifast, I’m far from the only one. Seems grilling is as popular as ever. People love to gather for cookouts and barbecues but the survey shows that we no longer include activities in these gatherings. Remember when families got together and played badminton, horseshoes, volleyball, and croquet? Seems these days we just want to eat! That reminds me, we need a new croquet set…. Mix the peppercorn, salt, mustard, garlic powder, and thyme. Heat a non-stick grill pan over medium heat. Grill steak five to seven minutes on each side, until steak is desired doneness. Grill mushrooms and green peppers until tender; serve alongside steak. Perfect Gift for Father’s Day Who Love to Grill! 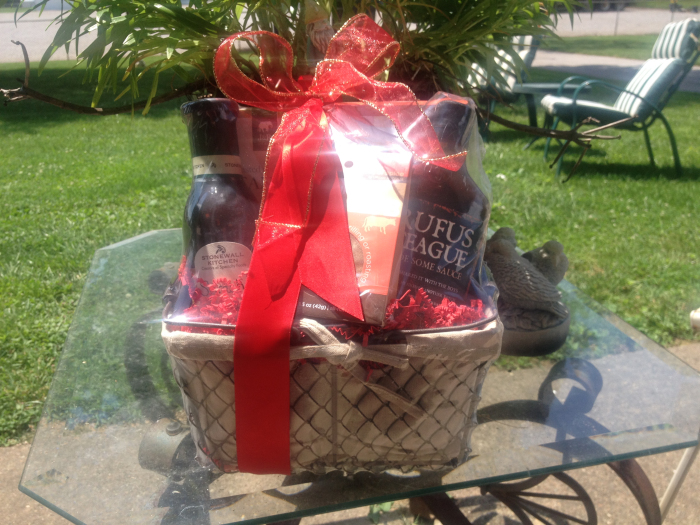 When contacted about reviewing a Father’s Day Gift Basket from Gourmet Gift Baskets, I jumped at the chance. I know my readers are as interested as I am in getting their fathers and husbands the best Father’s Day gift(s) possible. Face it, in many ways, they’re like kids (many, many, many… but that’s another story for another day) and get a bigger kick out of gifts and surprises than they let on. Gourmet Gift Baskets are absolutely perfect for every occasion you can think of but they might just be best for Father’s Day. Why? Because these guys can be pretty hard to shop for! If a father or dad needs or even just wants something, he generally takes himself to the store or a favorite online website and buys it. 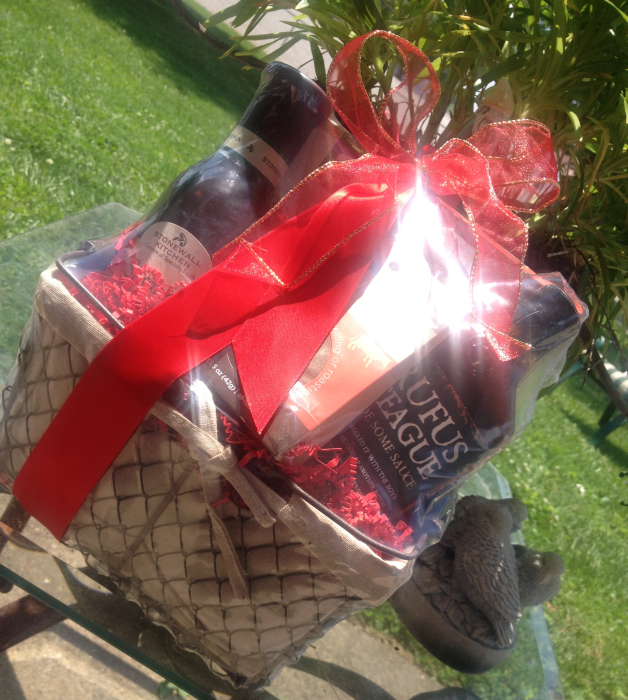 That’s why gift baskets are one of my favorite things in the world to give OR receive. First of all, you have the fun of being surprised by each gift as you pluck it from the basket. 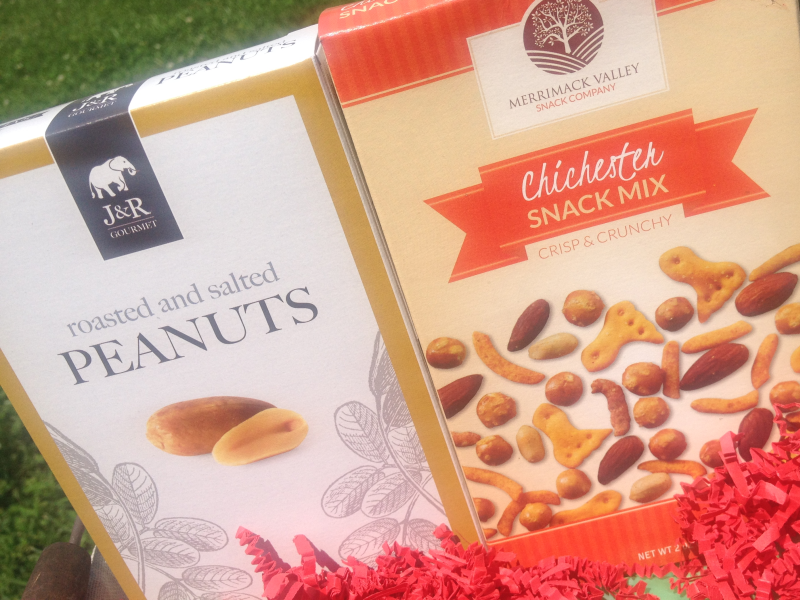 Second of all, it’s very unique and very cool stuff – especially when it’s chosen and put together by Gourmet Gift Baskets. It’s grilling season, the time of the year fathers and husbands live for! I suspect the men in your life will LOVE this gift basket. 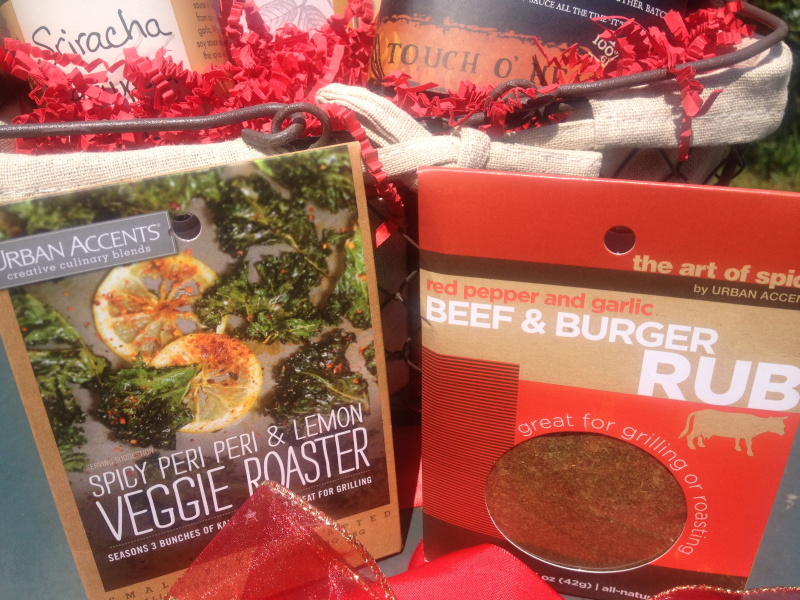 My own husband loves grilling and I knew he’d get a huge kick out of this gift basket. My gift basket (or I should say, my husband’s gift basket) came today and it’s even cooler than I expected. I LOVE the actual basket, itself. When gift baskets utilize a reusable basket, I’m one happy gal. This basket is ideal for gathering up grilling tools and/or sauces and seasonings for treks to and from the grill. • Touch O’Heat BBQ Sauce by Rufus Teague – 16 oz. 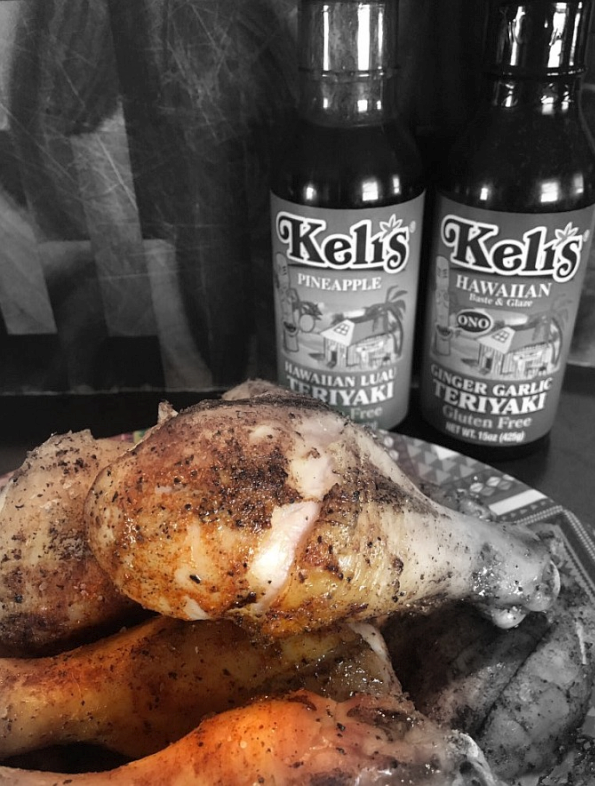 – All natural and gluten free, this BBQ sauce is what barbecue is supposed to taste like. The food selections are perfect – actually, everything is. I even love that the bow and overall presentation is obviously geared toward fathers/husbands. Not overly glitzy or glam – just nice and festive. For us, it’s even extra cool that there’s so much red. We’re HUGE St. Louis Cardinals fans, so the red is right at home here. I’m rushing to get this published as soon as possible – after all, Father’s Day will be here before you know it, but I want to just let you know that this is a wonderful and fun option for giving to the special man or men in your life. It’s a wonderful set and, as I said before, the basket can be used and reused…. and he’ll think of you each time he does so. 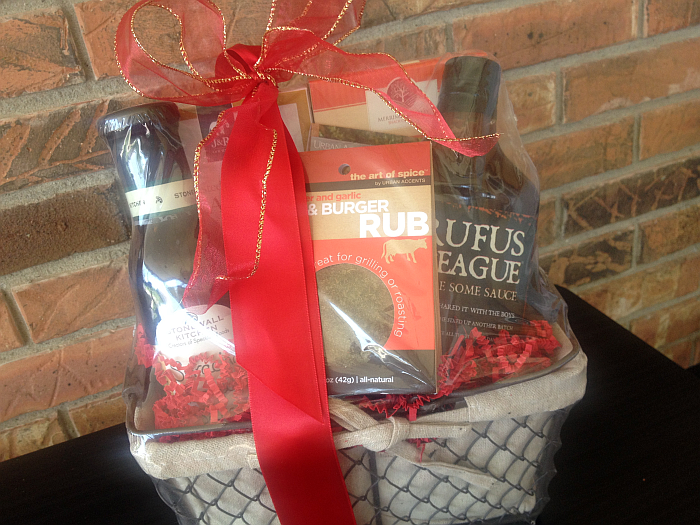 This is not a “gluten free” gift basket, of course.. although I know the Touch O’Heat BBQ Sauce by Rufus Teague is. 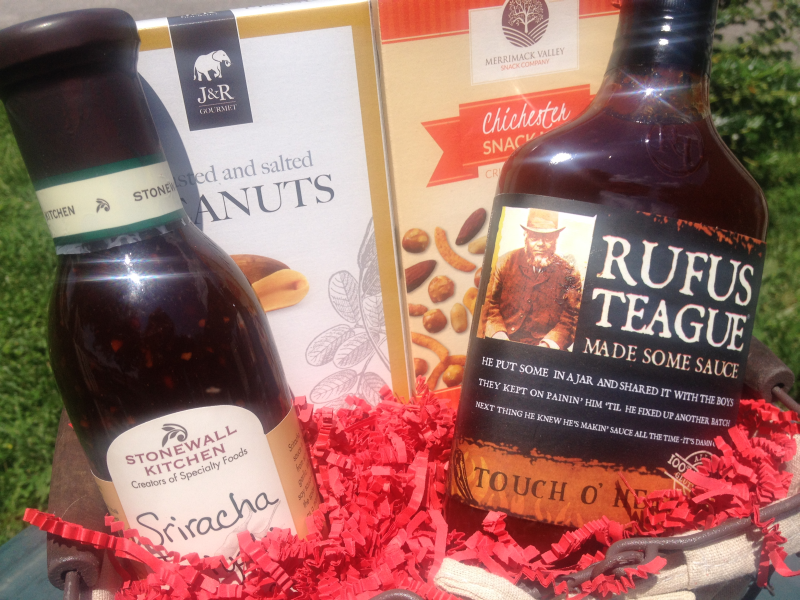 There are, however, a ton of other Father’s Day gift baskets to choose from if gluten or its absence is an issue. These are just a few – there are MANY more. Click through any of the links and take a look around. The prices range from around $29 to over $100 and the choices are fantastic. You’ll have almost as much fun shopping for the gift basket as he’ll have opening it. 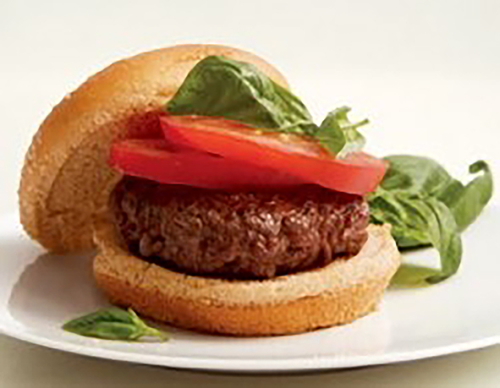 Did you know that 91 percent of Americans who own a grill say hamburgers are their number one choice for grilling? Most of us view Memorial Day Weekend as the beginning of summer, irregardless of what the calendar says! Not only can you “build a better hamburger” by choosing the best beef possible (and don’t forget delicious Lara’s Lean Beef), you can make your burgers even healthier with the following tips. 1. Top it with avocado. Not only are avocados delicious on burgers, but they can also reverse some of the bad effects of red meat. A study out of UCLA, published in Food & Function, showed that when healthy male subjects ate hamburger patties with and without fresh Hass avocado halves, certain biological measures, like inflammation and arterial blood flow, appeared better when the avocado and the burger were eaten together. 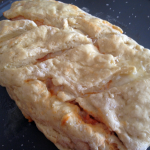 *Check out this recipe for The Works! Avocado Burger Topper that incorporates all of your favorite fixins’. 1. Size matters. The size of the burger can add up. Jump on the slider bandwagon and choose two mini-burgers instead of a huge patty. Some burgers at popular chains tip the scales at 8 oz. or more, which can add up to almost 500 calories without the bun. 2. Big Buns aren’t always better. To reduce the amount of calories consumed, choose an English muffin, sandwich thins or bagel flats. You can even cut a bun in half and use one half for the whole burger. 3. In Fact, Who Says You Even Need Buns? Those of us who have to eat gluten free can attest for the fact that you actually taste the burger better when it doesn’t have to compete with bread for attention! 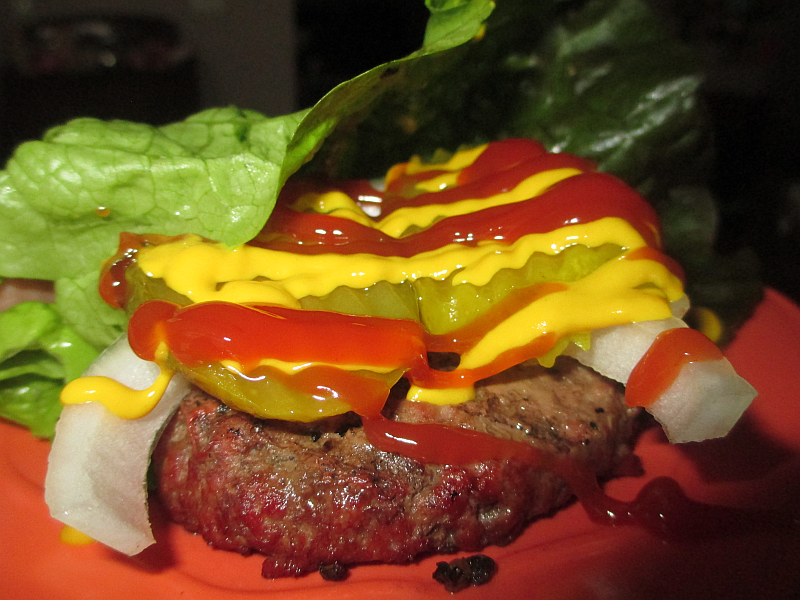 Wrap your juicy burger in leaf lettuce and dress it with mustard, ketchup, pickles, and onions. 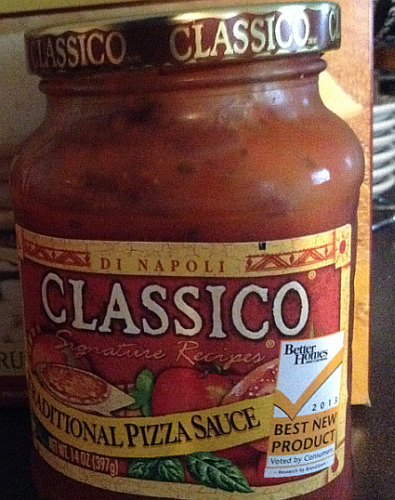 Less calories… more flavor. Boom! 4. Be a Condiment Crusader Think beyond the fridge door and skip usual mayo and sugar-laden ketchup. Instead, use spices, herbs, or swap mayo for Greek Yogurt mixed with Siracha or hot sauce. You can even pickle your own zucchini to impress your guests with homemade pickles! 5. Bulk up your meat. 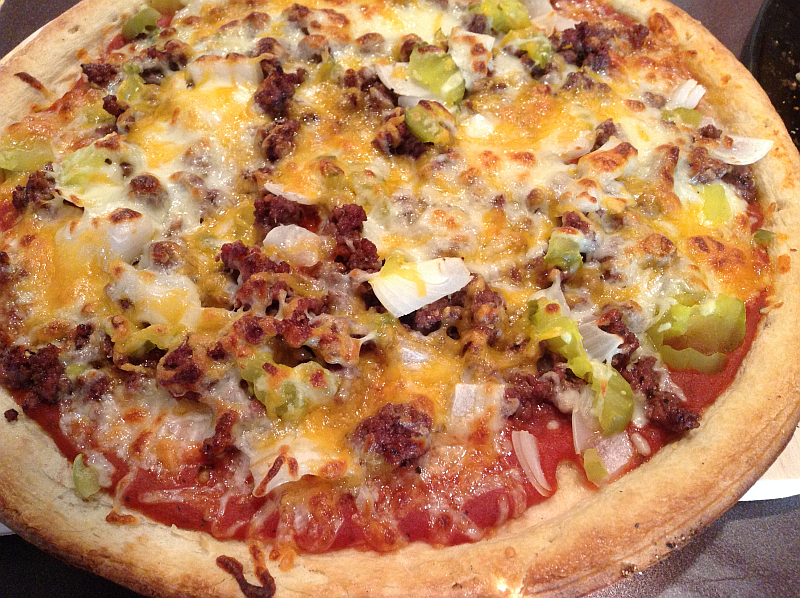 Many veggies, like mushrooms, have a meaty texture and blend easily in meat mixtures. Simply chop mushrooms to a ground beef texture and use in place of some of the meat in your burger. Not only will they taste great, you will lose some of the fat from the meat and gain nutrients and vitamins from the vegetables.